For over twenty five years we've shared the rewards and excitement of the hunt with many people. We were able to make new friendships and renew old ones, again this year and we have many memories to reflect upon for years to come. As always, we look forward with great anticipation, to the opportunities and adventures that the coming year will bring. We hope you can join us sometime soon! 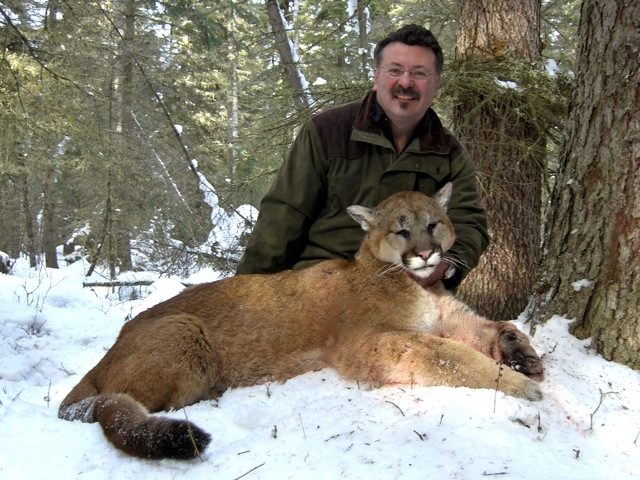 DON HARTER of Michigan, hunted hard with us in January and again February, taking this 153 pound tom cougar. TIM TERRY of Texas, harvested this great cat early in his hunt. 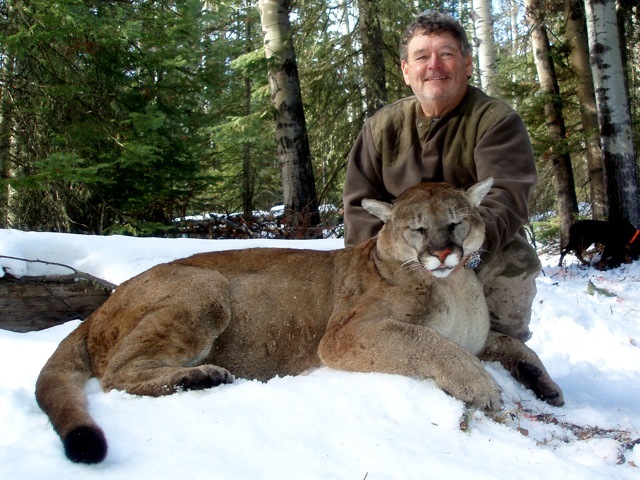 Tim's Boone and Crockett record book cougar scored 15 2/16" and weighed 173 pounds. LOUBERT SUDDABY of New York, came back for his second hunt with us. This time he harvested this good tom on day two. 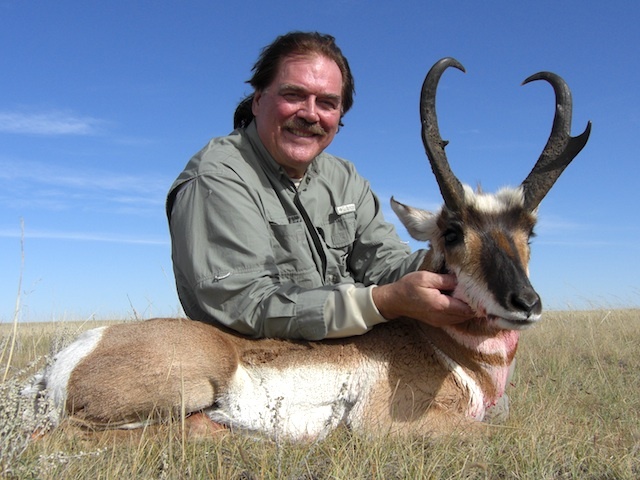 Gerald Novelly of Tennessee, joined us on a September antelope hunt. 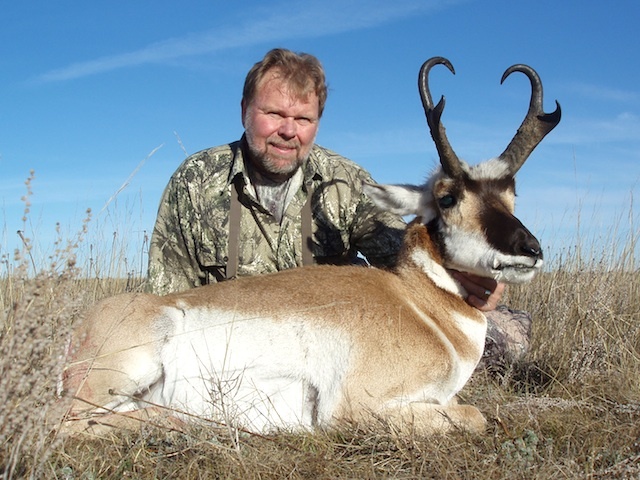 He harvested this nice pronghorn buck on the first day. He was then free to take some time photographing the prairie. 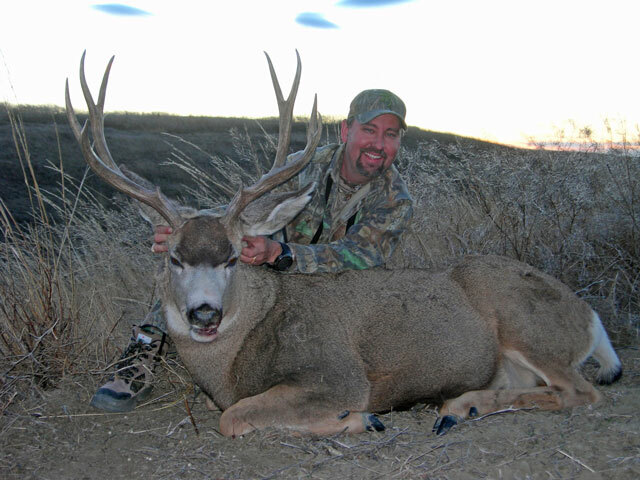 TOM ZENAHLIK of Idaho, came north after a pronghorn in October. On a beautiful prairie morning, he made a well placed long shot to harvest this nice antelope buck. 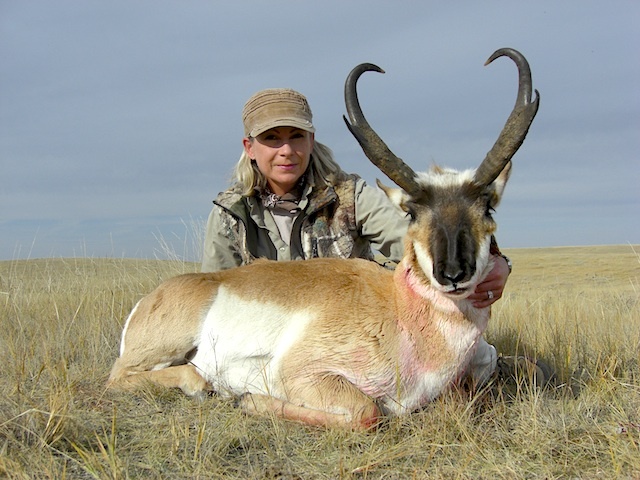 Tracy took advantage of a little time off and got in on some hunting of her own, taking this beautiful pronghorn. 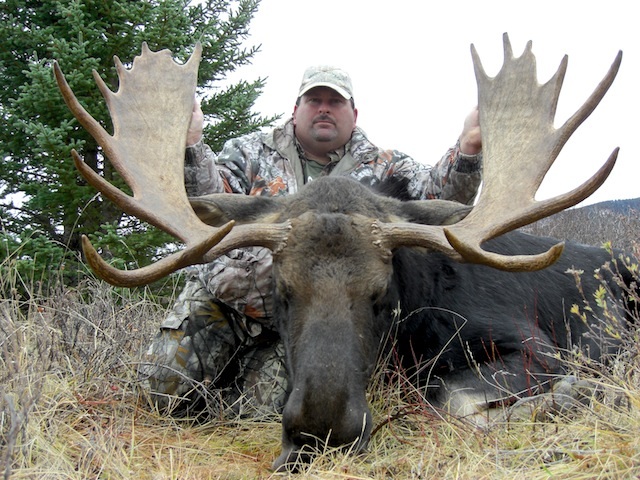 Ray Asbury of Texas, took this Alberta Shiras moose on the first day of his hunt. LOUIS RUSSELL SR. of Texas, was able to connect on this prairie mule deer buck the afternoon of the first day of his hunt. 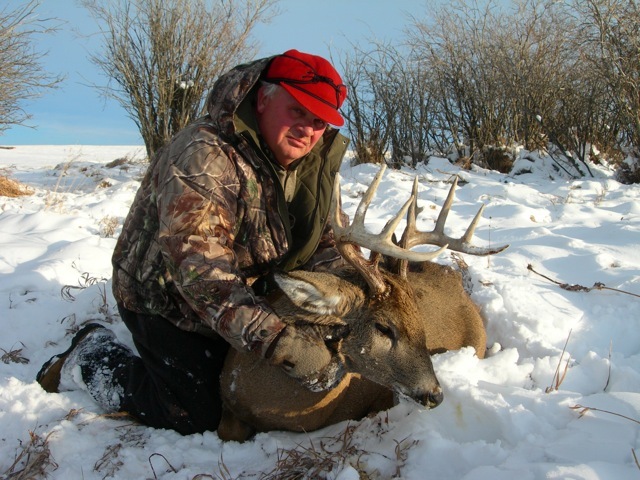 LOUIS RUSSELL JR. of Texas, hunted hard and the long hikes through the coulees finally paid off. Louis took this prairie muley on his last day with us. 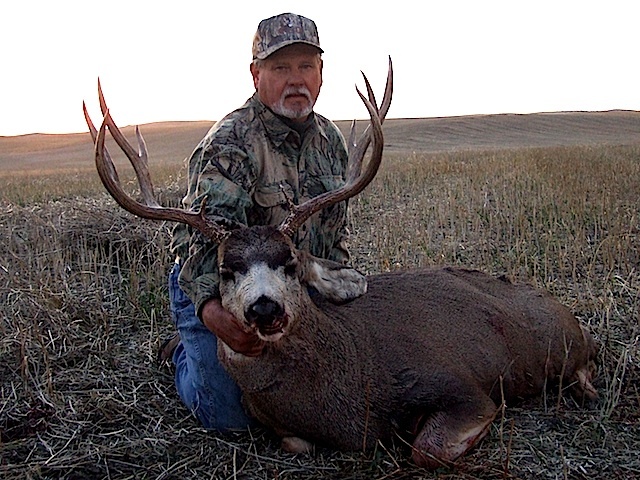 BILL WEBER of North Dakota, made a great shot after a perfectly executed stalk got him to within range of this big muley who was bedded in a coulee, out of the wind. Bill also connected on this whitetail a couple of days later, while helping look for a muley for his buddy Larry below. 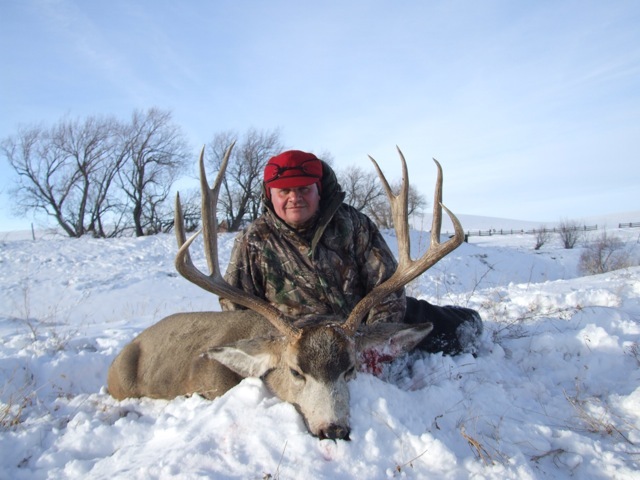 LARRY ELIASON of North Dakota, traveled with his friend Bill above, to hunt Alberta deer. 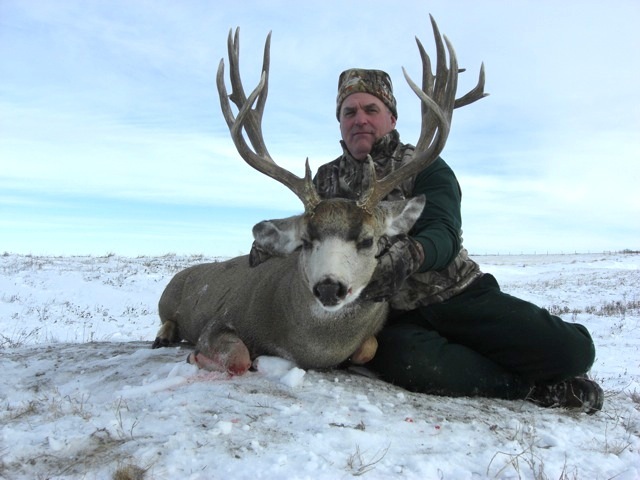 He took this handsome prairie muley on the last day of his November hunt. Thanks for making 2010 another memorable year for us. We are honoured to share the experiences and successes with everyone who joined us, and we had a lot of fun! A few words of appreciation are in order to those, whose contributions helped make everyone's success possible. Carole Frei, Dale Silbernagel, Darren Daniel and John Gordon. We couldn't have done it without you! Best wishes and good hunting to all in 2011.